Too often, post-secondary librarians complain that teens enter their libraries with subpar information literacy skills. For students to be college ready, they need to start “learning how to learn” much earlier than high school in order to grasp concepts and practice ways to engage with information. 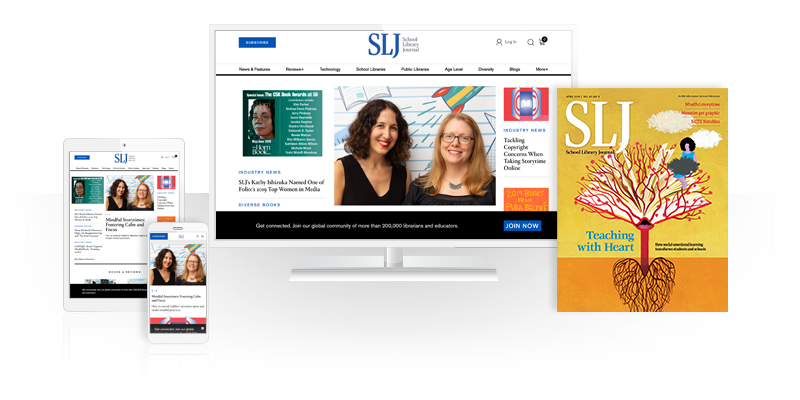 School librarians are the natural experts to guide them toward college readiness, but ensuring their information literacy requires collaboration between school librarians and their academic counterparts. Fortunately, that path between K–12 and higher education has been laid to some extent. 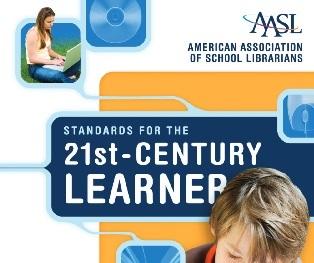 Literacy standards are transferable between K–12 tasks and what students do in college, as they work with articles, reference materials, and data, as Megan Oakleaf and Patricia L. Owen (2010) concluded in their study of the American Association of School Librarians (AASL) Standards for the 21st Century Learner (2007). Currently, the Association of College and Research Libraries (ACRL) is revamping information literacy standards in light of emerging technologies and changing workplace needs. There is hardly a better time for collaboration between K–12 and academic librarians. School librarians are well positioned to ensure college readiness. They work with students and faculty across all curricular areas, and they understand the developmental aspects of learning at various age levels. Elementary librarians get children excited about reading; middle school librarians facilitate inquiry learning through engaging projects; high school librarians guide students in the basics of research processes; and academic librarians support discipline-based knowledge generation. Furthermore, librarians across levels share a common training and learning mind-set, so they speak a common language. Before collaboration can occur, they need to reach out and build professional relationships with each other—and trust. Information literacy is often not a formal part of the high school curriculum, so the chances that it is articulated (or “linked”) between high school and college are small. Therefore, a good point to begin is for librarians to share student work. K–12 librarians should show samples of their student assignments to college librarians and vice-versa, so they can all understand what kinds of assignments teachers give and what the level of student understanding is. They can look at students’ bibliographies to see what sources are used and how they are cited. They can listen and share observations of how students locate and evaluate assignments to glean information. What information literacy competencies are assumed in different levels of assignments? How large is the gap between what is expected in K–12 and higher education in terms of information literacy? Our answers can define the bridge that librarians must build between high school and college. Librarians can work with their respective communities on the bigger picture questions. What are developmentally appropriate information literacy expectations, and how do librarians collaborate with subject-area college instructors to facilitate student learning? Academic librarians should lobby loudly for school librarians to be active at every educational level, laying the groundwork for college success. Let’s face it: Librarians are seldom the top decision-makers, but they can yield powerful influence when both school and academic librarians band together to support articulation between educational levels. Establishing college readiness depends on solid relationships between school and academic librarians. Literacy is a long-term investment of time and effort, not money. Budgets will continue to be unreliable, so it is up to both school and academic librarians to build that information literacy bridge so that students can successfully navigate this dynamic intellectual universe throughout their lives. Lesley Farmer coordinates California State University Long Beach’s Librarianship program. A Fulbright scholar, her latest book is Introduction to Reference and Information Services in Today’s School Libraries (Rowman & Littlefield, 2014). For those who are interested, the libraries of Rockhurst University and Blue Valley High School in the metropolitan Kansas City area have been bringing together school and academic librarians with faculty for about 4 years. Leslie was kind enough to appear "virtually" at our April 2014 event. A former president of my local community college asked me one day why are the librarians at his college complain that the students had no idea how to use the library to find the information that is not on the internet or even being able to decide when print might be better. I explained that most students in Michigan have not had school libraries run by real librarians for many years. (he didn't grow up in the state). I was the first real librarian in my school district in 25 years when I was hired in 2001. Call me old fashion, but I still teach how and why the Dewey Decimal system is set up so my students understand how one type information relates to other type information. The tech teacher and I work together to give our students an understanding about all types of information. You don't how many of my former students have come back to tell me even they didn't think they would ever need what I taught, until they had to do research in high school and college. They understood how libraries can help them find the information they need and how to do it for themselves. I tell my kids I am teaching them how to learn about they want to know and turn them loose to do it. At DePaul, we have reached out to K-12 schools in areas of strategic concern, e.g., Catholic schools, but there is much that can be done to make these programs scalable and sustainable. One of my favorite examples is Kent State's "Informed Transitions" program (http://www.library.kent.edu/program-overview).